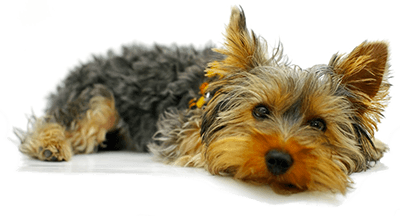 We assist with dog training and behavioral issues with any dog, any age, and any issue. No matter if your pup is large or small, Bark Busters Gainesville/Ocala can help! 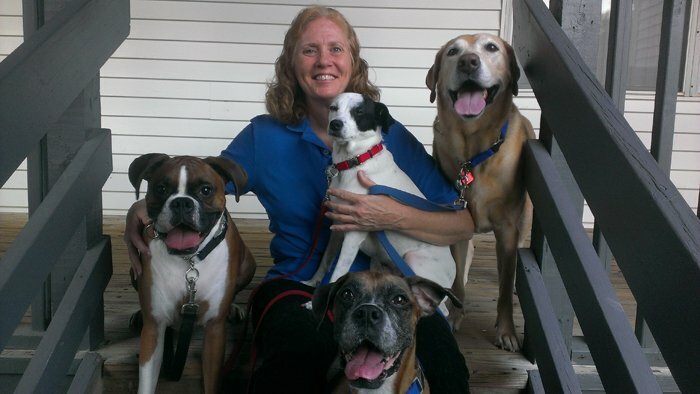 I have successfully trained thousands of dogs throughout our area with a wide assortment of problems and have helped pet owners to lead happy lives with their dogs. What Differentiates Bark Busters Gainesville, Ocala? We train dog owners and dogs. Most people think the main focus of our training is on the dog. Actually, it’s on the dog owner. Your dog doesn’t listen to you because he doesn’t understand what you are saying. Believe it or not, he wants to please you – he just doesn’t know how. When puppies are born, they communicate with their Moms through body language and verbal communications. The pup Moms don’t use treats, shock collars or any electrical devices and they don’t speak English. That’s why Bark Busters teaches you how to communicate with your dog through voice tones and body language – the way dogs naturally communicate. “I can’t even think of enough good things to say about Laura! She told me how a dog thinks compared to a human. It made so much sense! She assured me that we could change Ankah’s behavior and mine …which basically was the problem! I am her much needed pack leader now. She sits, stays, heels, all basic things I never taught her.” - Joan S.
We will teach you to be the “pack leader.” By their nature, dogs will vie with you for control. They are used to being part of a “pack” and will establish themselves as the pack leader unless you quickly do so. Bark Busters teaches you to be the “Top Dog” so your dog knows you are in charge and will keep him safe. You will establish a new relationship with your dog based on trust, love and respect. Additionally, your dog will be more relaxed and actually grateful he doesn’t have to be in charge. You will see immediate results. Once we help you get to the “root” of your dog’s behavior, you will notice immediate changes in your dog. Continue practicing the exercises 10 – 15 minutes/day and you will have an obedient dog in no time. Our methods often succeed where other training methods fail. Our dog training services are often recommended by veterinarians and other trainers, because Bark Busters is able to tackle the tough issues – sibling rivalry, separation anxiety, biting and more. As a pet owner, dog trainer, and a former veterinary assistant/technician, I know that once your dog understands the rules, he will be grateful, because he knows what is expected of him. I have been named the “2017 Best Dog Trainer in the city of Ocala” and have successfully applied the Bark Busters training methods to any dog of any age, any breed. Don’t be embarrassed or tolerate any misbehaviors anymore – contact me today so we can start your dog on the road to being well-behaved.